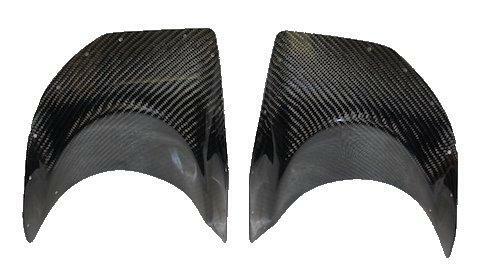 BlackTop Aero Bumper Exhaust Shield - Dezod Motorsports Inc - Home of the automotive performance enthusiast since 2002. BlackTop Aero ’s commitment of setting the highest standard in quality, performance, and durability of aftermarket automotive accessories has led them to release a new line of exterior accessories for your car. While incorporating innovative designs, state of the art engineering and stringent testing evaluation BlackTop Aero ’s lines of Carbon Fiber Components are OEM quality and purpose built for the ultimate in detail and quality. Built from Dry Carbon BlackTop Aero products will outlast our competitors and give you a distinct look that is sure to be a hit with judges.